You start out with good intentions but once you start to go wrong it's downhill all the way. Politicians, countries, football clubs, we all do it. 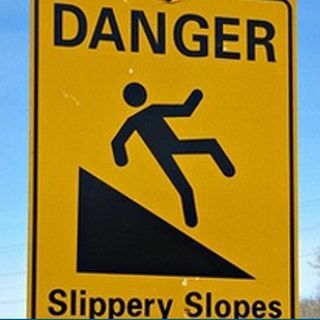 How is it so many start down a slipper slope, and are we all heading down such a slope together? Mark and Pete give the answer. Colorful conversation on social, economic and religious issues from a Christian worldview perspective.